You asked, we listened! We’ve made some changes to the way you can define your taxes. These changes are going to help you make sure you’re not paying twice the tax on the same product. 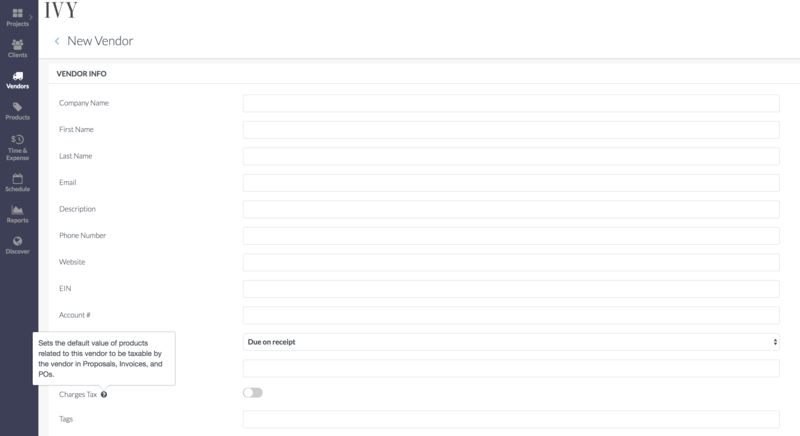 We’ve added a new “Charges Tax” field that allows you to indicate when you’ve already paid tax to the vendor. Meaning, if you’ve already paid tax to the vendor you won’t have to pay it again. You’ll only pay for the markup / shipping when needed. 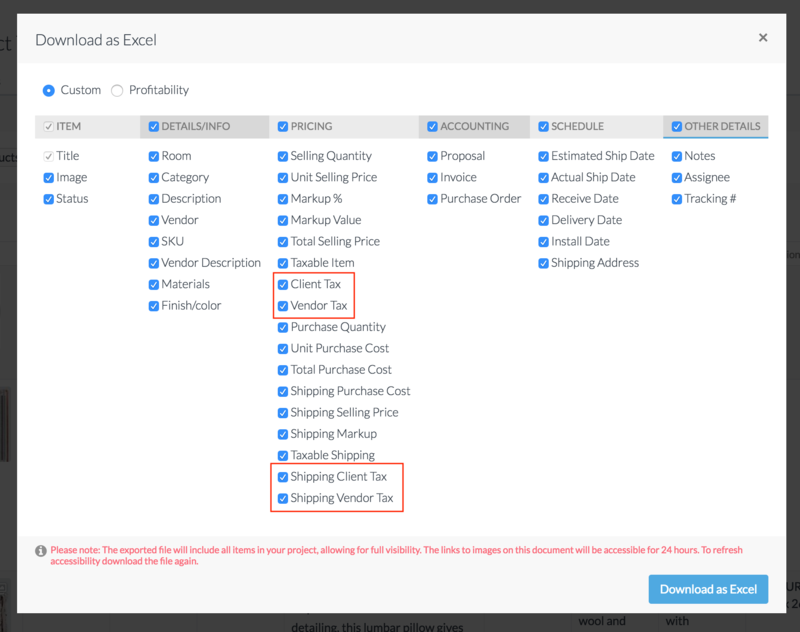 When creating a new vendor under “Vendor Info” you’ll have an option to indicate whether or not the vendor charges tax. Let Ivy know if the products related to this vendor are taxable by the vendor or not. Basically, you’ll be able to choose if your paying for all of the taxes or just for the markup. This will be included in proposals and invoices. 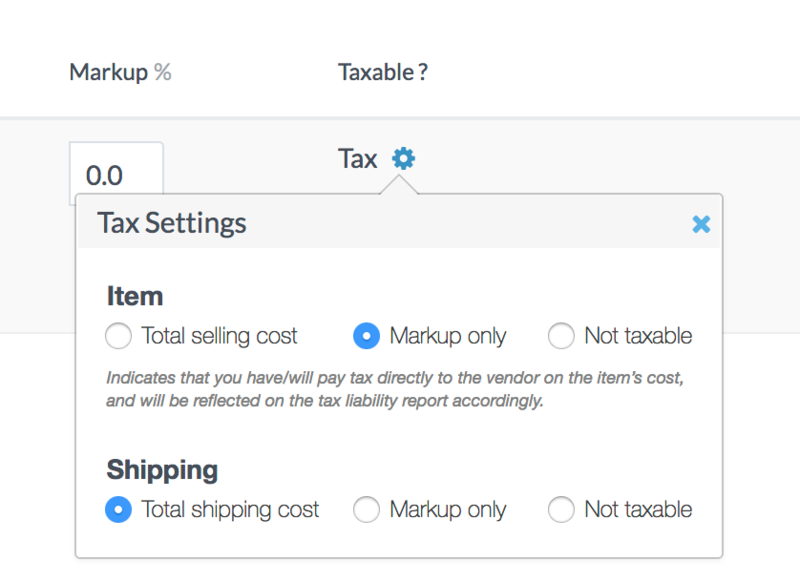 Clicking on the gear will open up options on how to set the tax, including item and shipping. Tax settings - what do they mean? Total selling cost - this indicates that you will pay the total tax for the item including markup. Markup only - this indicates that you have/will pay tax directly to the vendor on the item's cost, and will be reflected on the tax liability report and Project Tracker report accordingly. Not taxable - this indicates that the item is not taxable. Total shipping cost - this indicates that you will pay the total tax for the shipping including markup. Markup only - this indicates that you have/will pay tax directly to the vendor on the item’s shipping cost, and will be reflected on the tax liability report and Project Tracker report accordingly. Not taxable - this indicates that the shipping is not taxable. *Tax Total on the bottom of a PR/IN when “markup only” is checked will show the same amount as when “total selling cost” is checked, because the client is reimbursing you for tax you pay to the vendor. You can see the breakdown of vendor vs. client tax in two specific reports on Ivy: the taxes liability report, and the custom project tracker report. The taxes liability report is an overview of the total taxable amount of products and services on invoices, and breaks down the total taxable amount of products, services, transaction fees, and the tax amount per tax agency.